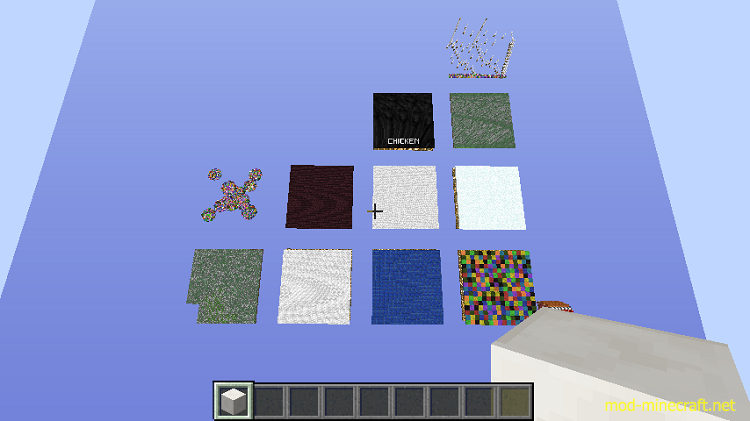 ColorMatch: Jump to the color corresponding to the wool color in your inventory! Spleef: Destroy the floor under your opponents to make them fall and lose! MineField: Run to the finish without touching the mines! Jump’n’run: Jump to the finish! DeadEnd: Don’t fall while the blocks are disappearing behind you! DisIntegration: Don’t fall while the floor is disappearing! LastArcherStanding: Shoot the others with the bow! SheepFreenzy: Shear as many Sheeps as possible! Attention: Some of them explode. SlapFight: Slap the others and make them fall! ChickenTag Pass the chicken to others or you’ll die! It will loop forever until everyone leaves and has economy/item reward options and a credits system. 3. 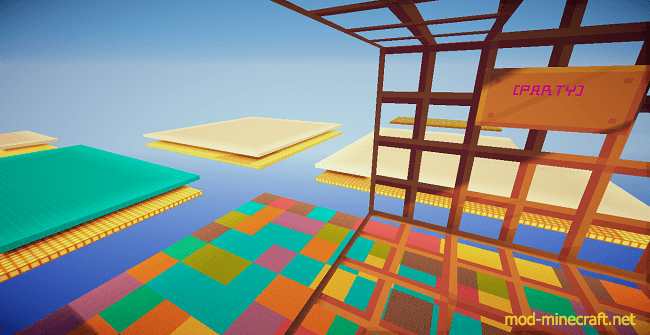 /mp setup This will create all arenas on your current y-level, be sure that you have like 500 blocks free in the south and east directions and 50 in the north and west directions. You need the permission node mp.sign for creating signs. See the config as of v1.4.2 here with a few explanations. To enable/disable certain minigames, type /mp disable [minigame] or /mp enable [minigame]. You can see a list of minigames with /mp list, disabled ones will show up red here. 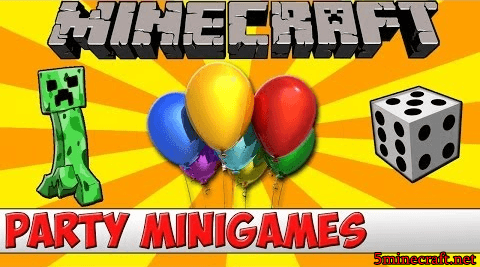 You can try out this plugin on server.kamoworld.com where Kamo is constantly testing new builds of MGParty (but of course has a bunch of other nice minigames too). Please send me any bugs appearing and I’m open for new minigame ideas, too.